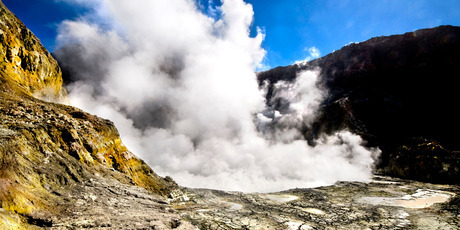 White Island is continuing to produce “vigorous bursts” of mud, rock steam and gas up to 100m high and larger explosions including molten sulphur are possible, say experts. The seismic activity, which has lasted several days, poses a greater than usual risk to visitors, said GNS Science. Scientists monitoring the island volcano in the Bay of Plenty say the crater lake is drying out and the frequent bursts of mud, steam and gas were still vigorous. 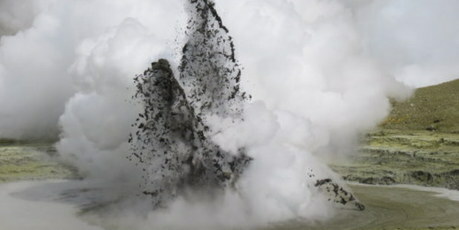 Past monitoring of the island showed new eruptions often develop from this type of activity and small muddy lakes sometimes form in craters “as the unrest develops geysering and explosions occur through these lakes, becoming more vigorous with time”. 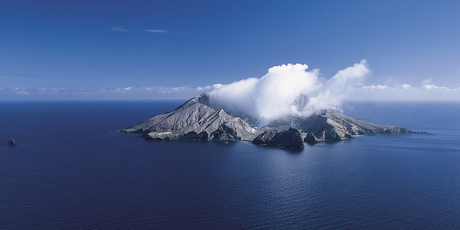 Scientists have confirmed that White Island has erupted and continues to blast ash into the air, indicating the start of a new phase of volcanic activity on the island. However, as White Island produces a series of eruptions, Mt Tongariro appears to be quieting down. 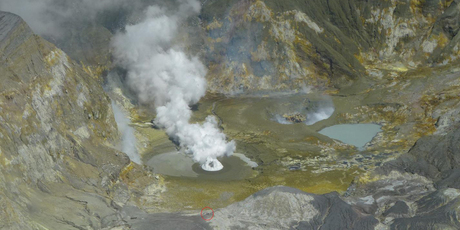 Flashes of lightning have been reported coming from White Island as the volcano continues to erupt since Sunday.